Yesterday I cut down the brush encroaching my house. Last night a piece aluminum siding broke free, blowing in the wind. I had actual, honest-to-goodness wired internet installed. No more relying on my phone as a hot spot. No more mooching off my in-laws to download/upload large files. But let’s be honest, I’ll still spend quite a bit of time there. No more using the work WiFi to blog. I come in early and stay late. 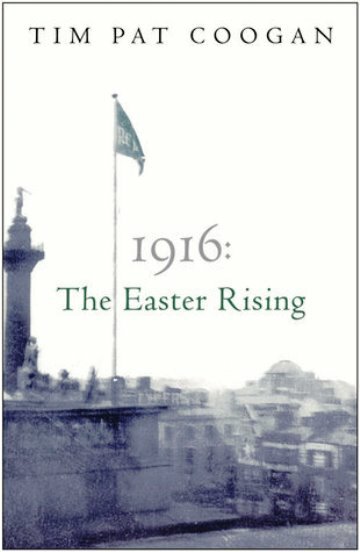 This week I’m reading 1916: The Easter Rising by Tim Pat Coogan. Actually, this marks the third time I’ve tried to read it. This should not be a reflection on Mr. Coogan, time and life simply stalled out the other attempts. Thus far, it’s quite readable and enjoyable. I used the Truly Random Number Generator to pick the page number; it chose page 35. I must admit, it isn’t the most riveting of passages, but that’s what you get when you leave things to fate/chance. (a) The grasp of human weakness and vanity. Tinker, Tailor, Soldier, Spy by John le Carré socred 4/5 stars. It was a fairly decent mystery story, but the pace may be a little slow for those accustomed to modern thrillers. After reading, I also understand why people complained the movie was incredibly slow [I haven’t seen it; I wonder if it’s on Netflix?]. However, I loved the story for the story’s sake – even if I did figure out whodunnit about a quarter of the way through – and am thankful my library has more of le Carré’s works. A Pocket Full of Rye by Agatha Christie scored 2/5 stars. I found the plot slightly less than intriguing, the characters flat, and the resolution bordering on Deus ex machina. I also new whodunnit by the time Miss Marple made her appearance – it wasn’t that hard to figure it out. On the plus side, my edition didn’t yet exist on Goodreads, so I got to add it to the list!